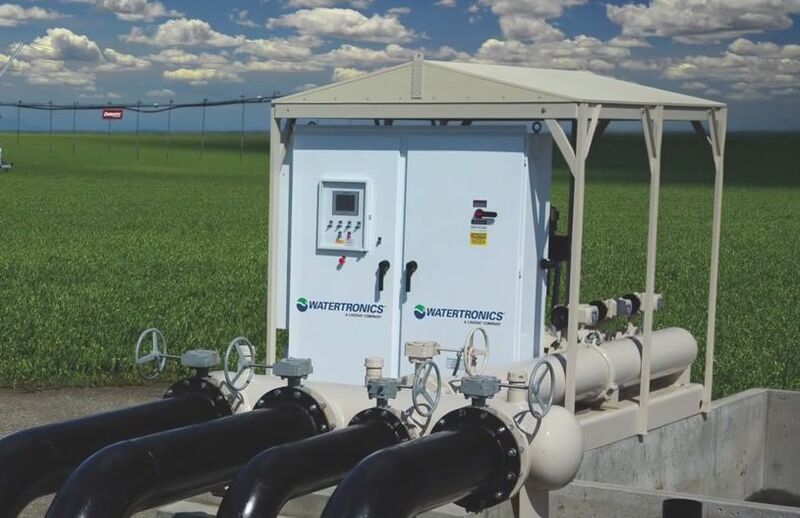 Ontario farmers buying certain types of high-efficiency water pumping systems for irrigation, horticulture or stock watering could now be up for rebates. Hydro One and Niagara Peninsula Energy (NPEI) on Friday announced the AgriPump rebate program, which the two electricity utilities described as the first plan of its kind in the province. For farmer customers who have Ontario farm business registration (FBR) numbers and meet program criteria, the plan offers “instant” rebates at point of purchase from participating suppliers for eligible high-efficiency constant-pressure pump sets. To qualify for a rebate under the program, a pump kit must be between 0.5 and 10 horsepower and must be made up of a pump, motor, variable frequency drive (VFD) and accessories. Buying only a VFD for an existing pump is not eligible for the instant rebate, the companies said. Listed AgriPump rebates per eligible unit range from $105 up to $610, depending on pump type (submersible, end suction, vertical multistage) and horsepower. The two companies described the program — which is only available to Hydro One or NPEI agriculture customers within either company’s service territories — as “ideal for all farming applications” including livestock, greenhouse and vineyard uses. Upgrading to a high-efficiency pump will improve performance and could save customers up to 40 per cent of their system’s energy costs, the companies said, based on a typical farm water use profile and run time of 3,000 operating hours per year. The companies estimated the simple payback periods range at between one and six years on the costs of most constant pressure pump kits. “Water conservation and high energy costs are a big concern for farmers in the Niagara region and across the province,” Drew Spoelstra, a Niagara-region director with the Ontario Federation of Agriculture, said in the companies’ release. The Save on Energy program, run through Ontario’s Independent Electricity System Operator (IESO), offers businesses incentives for equipment and lighting retrofits and building upgrades that reduce electricity demand and consumption.